Just another quick line about a new book, Thinking Through Islamophobia: Global Perspectives, edited by S. Sayyid and Abdoolkarim Vakil, which is now out, and which I’ve written about before. There have been a plethora of new titles recently too, and collectively they all should help to bring greater conceptual rigour to a ubiquitous but highly contested term, which should prove very useful for policy and legal casework in this area. In fact, the next item on the to-do list should be to draft a legally watertight definition of Islamophobia in line with varous important national, EU or international legal jurisdictions. C. Allen, Islamophobia (Aldershot: Ashgate, 2010). A. Shyrock (ed.) Islamophobia/Islamophilia: Beyond the Politics of Enemy and Friend (Indianapolis: Indiana University Press). M. Malik (ed.) Anti-Muslim Prejudice (London: Routledge, 2010). J. Esposito and I. Kalin (eds.) Islamophobia: the challenge of pluralism in the twenty-first century (New York: Oxford University Press, 2011). Some other news is that there is a new report out tomorrow on Islamophobia and Anti-Muslim Hate Crime: UK Case Studies by J. Githins-Mazer and B. Lambert from the University of Exeter, which is to form part of a longer ten-year research programme. Most importantly, the formation of an all-party parliamentary group on Islamophobia has been announced. The group is to be chaired by Kris Hopkins (Cons, Keighley and Ilkley) with vice-chairs Simon Hughes (Lib-Dem, Bermondsey, and Deputy Leader of his party) and Lord Janner of Braunstone QC (the Labour peer); some 20-odd members have signed up so far. This step could prove essential to mainstreaming Islamophobia as a serious policy and political issue. Update: On 8th December 2010, Kris Hopkins and Lord Janner issued a press statement saying they have dropped Engage as their secretariat to the APPG on Islamophobia, although there is a dissenting view from Simon Hughes, the other Vice-Chair. It has been reported that Paul Goodman’s piece at Conservative Home has been influential in leading members of the APPGI to this decision; Engage has responded directly to Goodman’s article. It’s been a long time since I last posted anything here, and I aim to post more frequently. It’s not as if things of importance aren’t happening in the world. For the time being, however, I wanted to flag up a new collection that I’ve co-edited with Dilwar Hussain and Ataullah Siddiqui. It’s the outcome of a seminar held in January 2009 on ‘British Muslims and the Secular State’, and is the first collection to my knowledge to focus on this issue. At its heart, it is an attempt to test the implications of two questions through a multi-party dialogue (or ‘multilogue’ for short), as we can see little practical utility in us British Muslims discussing this issue in splendid isolation. The first question is to explore what religious grounds there are within Islam, and within Judaism and Christianity, to affirm secular liberal democracy. The book as a whole concentrates upon political rather than philosophical secularism, which, in the twentieth century, many Muslim intellectuals directly equated with the promotion of atheism during the colonial and post-colonial periods. Today in twenty-first century Europe they equate it, and not without reason, with a political attack on Muslim communities and their institutions. Political secularism in a liberal democratic context, on the other hand, refers to (or, more realistically, ought to refer to) the relative separation between state and religion, to non-discrimination among religions and to the guarantees made with respect to the human rights of citizens, regardless of their creed, to which the philosopher Charles Taylor importantly adds the principles of political fraternity and the seeking of harmony. Unsurprisingly all three discussants tackling this first issue — Abdullah Sahin, Nick Spencer and Norman Solomon — make a careful distinction between what they affirm and support as ‘secularity’, an accommodative arrangement that does not exclude religion from public life and that is committed to democratic inclusion, but are critical of a ‘secularism’ that systematically excludes religion from public life. The second main proposition looks at the whole issue from another perspective: what reasons might the democratic secular state have to affirm a public role for religion in ways that are consonant with its underlying philosophy. Two respondents — Ted Cantle and Sunder Katwala — assess Tariq Modood’s proposition that the democratic secular state has five reasons to affirm a public role for religion: (i) the truth of religious claims made, subject to robust democratic processes, in policymaking, if not as a basis for a secular democratic state; (ii) the judicious control of violent religious fanaticism; (iii) the social and moral benefits of religious lifestyles upon society; (iv) the recognition of religious identity as a basis for participative citizenship at the levels of individual, minority group and national belonging; and (v) respect for religion as a cultural, historical or civilizational public good. Importantly Modood also points out that there is an important alternative to stricter forms of secularism, seen in France or the United States for instance, which is moderate or accommodative secularism, which is historically the hallmark of northwestern Europe, and particularly of Britain. There is an additional argument Modood makes which is that accommodative secularism better respects the mutual autonomy of politics and religion through ‘twin tolerations’, and so it should therefore be seen as central to liberal democracy. Maleiha Malik closes out the collection by looking at future prospects for the debate on secularism and religion in Britain. Copies can be ordered from Amazon Marketplace or from Kube Publishing. It may be tempting fate to say so, but the conviction of the ringleaders of the airliner plot last week represents the end of an era. MI5 believes that al-Qaida has no “semi-autonomous structured hierarchy” in the United Kingdom, and there have been fewer “late-stage attack plans over the last 18 months”. Back in the 90s and even after the 9/11 attacks, Britain allowed radical preachers such as Omar Bakri Muhammad, Abu Hamza and Abu Qatada to promote global jihad. The warnings that community leaders gave at the time largely fell on deaf ears; and we British Muslims failed to stop the growth of this radical fringe, which was galvanised by the tragedy of Bosnia. Around 2000, the alienation of one young muslim I knew was so powerful that he felt he could only opt for the cause of global jihad – a utopian struggle divorced from the urban realities he was failing to deal with. Since the government crackdown on the original radical preachers, we have been dealing with their disciples, who don’t have a political ideology as such but a simple metaphysical struggle, of good verses evil. We have also come to understand that these plots were loosely linked in the UK, with three-quarters of them directed by al-Qaida and its affiliates in Pakistan. 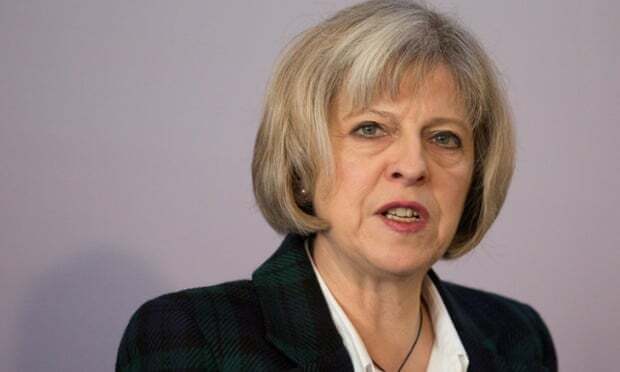 The intelligence penetration of violent extremist networks and the clampdown on their propaganda are reducing effective recruitment into terrorism, in spite of the wave of major terrorist plots directed at Britain after the invasion of Iraq. Yet, despite our relative success, al-Qaida still intends to strike this country and we should be prepared for a change in tactics. Social division over the Muslim question in Europe is becoming more important, and our approach to preventative policies needs rethinking. After the airliner plot was foiled in 2006, the government called for a change in direction, aiming to partner Muslims who actively confronted violent extremism. But this approach has proved too wide in focus, wasteful of resources and has damaged social solidarity. Under the Home Office’s Prevent policy, aimed at countering violent extremism, local authorities have had to prioritise counter-terrorism. Youth services, community safety and neighbourhood teams, social inclusion and regeneration teams are all being inveigled into this cause. Community workers are concerned about how to preserve relationships of trust with those they are helping, particularly with Muslim young people. One youth worker I spoke to complained of police intrusion into his work, of being pressurised to reveal details about his clients and to breach his professional code of confidentiality. Youth services, he said, were being driven towards counter-terrorism and away from drugs and criminality. In addition, the policy has treated Muslims as an “at risk” set of communities, rather than simply citizens. The polarising dynamic between the far right and groups such as al-Muhajiroun has led to a string of anti-Muslim demos and anti-fascist counter-demos with clashes in Luton, Birmingham and north-west London. The newly formed English Defence League is planning further demos next month in Manchester and Leeds. In July, a far-right terrorist plot with a huge cache of arms and a plan to bomb British mosques was uncovered. This weekend John Denham compared today’s far right to Oswald Mosley’s 1930s fascists, and announced a drive to counter the extremists within white working-class communities. Yet it won’t do for the government to extend its current counter-terrorist policies to treat the white working classes as another “at risk” category. It should first reflect on just how effective the policy has been. The vast majority of Muslim institutions that have signed up to Prevent are too distant from the violent fringe – their response has always been to kick the al-Muhajirouns of this world out of the mosques. They have felt more comfortable using Prevent funds for pet projects that have little direct impact: a government-commissioned audit found that only 3% of projects targeted those “glorifying or justifying violent extremism”. Why would this blanket approach work any better in preventing far-right terrorism? We need universal reasons – not counter-terrorist ones – to tackle inequality on a basis that all British citizens can accept as equitable and fair. Prevent must be refocused, to employ only those with the know-how and credibility to persuade alienated Britons to turn away from violence and extremism. Last week, the imam giving the Friday address at the Harrow mosque invited those outside, who were calling for no more mosques in Europe, inside for talks. That would be a good start: polemics cannot be a substitute for understanding and reconciliation. This article first appeared in the Guardian on 14th September 2009. Muslim communities around the country have shunned al-Muhajiroun and its various entities for years and refused to give them a platform. Instead, they have to work through front organisations, hire private halls, set up high-street stalls or leaflet people with their poisonous little tracts. They are utterly marginal but are still able to generate huge coverage through provocation. Their recent barracking of British troops returning from Iraq and a counter mini-riot in Luton has poisoned relations in the town. The Muslim community of Luton, which had already chased them out of the mosques, has taken to chasing them off the streets too in a desperate bid to signal their utter disgust and consternation. Anjem Choudary’s latest wheeze to incite the ire of the national press and to irritate the hell out of Britain’s Muslims as well as everyone else is to use a legal loophole to relaunch al-Muhajiroun this week, which had been disbanded in 2004. Only its successor groups, al-Ghurabaa and the Saviour Sect, were banned in 2006 under terrorism legislation. It seems fairly clear that Choudary expects, and indeed makes the calculation, that the reformed al-Muhajiroun will be banned pretty quickly to generate the notoriety and street-cred that he wants to sustain. As they play a propagandistic role, they will continue to find ways to dodge past legal restrictions by using coded language or forming new entities. The law is obviously a blunt and ineffectual tool. Well Choudary got his headlines yet again last night when a debate with Douglas Murray of the Centre for Social Cohesion (CSC) on sharia law verses UK law never got started, ending in acrimony and thuggish behaviour after about half-an-hour. Al-Muhajiroun used their own goons to enforce strict gender segregation at the event, and roughed up at least one person who objected, and so the event was abandoned and the police were called in. I called the CSC earlier this week as I had concerns that they were just being used to promote Choudary’s latest wheeze and that I had my suspicions that the so-called neutral event organiser, the mysterious Global Issues Society (GIS), was just another al-Muhajiroun front organisation, a suspicion that was proved spectacularly correct last night. The Centre had its concerns too but wanted definitive proof that GIS was a front if it was to pull out at such a late stage. 1. Booked Conway Hall as a student society at Queen Mary’s under false pretences. No-one from the local student Islamic society had heard of them and the college authorities had no record of any student group registered under that name. 2. Had only organised a handful of “debates”, all of them involving al-Muhajiroun representatives. 3. The event was heavily promoted by al-Muhajiroun itself through its own website, and they provided a lurid poster and their own contact number for the event. 4. No-one knowledgeable about the Muslim activist scene in London had heard of them. 5. The security “hired” by GIS turned out to be just more associates of al-Muhajiroun who enforced their gender segregation code. 6. The so-called neutral chair appeared to be associated with al-Muhajiroun. Now the CSC says it acted in “good faith” in accepting this invitation, an assertion that can’t be left unchallenged. At the very least, CSC showed questionable judgement in giving the GIS the benefit of the doubt when there were so many legitimate suspicions about them. It seems probable that the CSC was more focused on highlighting their own campaign for a quick ban and burnishing their reputation as a scourge of radical Islam by playing up to al-Muhajiroun’s all-too-familiar tactics. If instead we want to use debate to expose and de-legitimize al-Muhajiroun further, the only way to do it would be to organise a neutral platform with a proper invite list. Most importantly, a debating opponent is needed who could take on Choudary and win among the disaffected and radicalised segment of young Muslims that al-Muhajiroun hopes to recruit from. Douglas Murray better fits the role of an anti-Islam bogeyman, who memorably described Islam as “an opportunistic infection” at a memorial conference for Pim Fortuyn in February 2006, a statement he is yet to resile from. Murray’s mere presence was no doubt designed by Choudary to buttress further the siege mentality of anti-West radicalism and self-righteous victimhood that al-Muhajiroun promotes. The lesson of this little fiasco is that the stoking of an Islam-West controversy has become predictable, exploitable and even somewhat of an industry. The question is: how to break the cycle and construct better alternatives? Frustration, despair and even ennui at the current standoff is just a cop-out and we need to do better: so, over to you, any suggestions? This has been cross-posted from City Circle Blogs.